BIRN’s project “Exercising the Freedom of Expression and Openness of State Institutions in Bosnia and Herzegovina, Kosovo and Serbia” supported by the German Federal Foreign Office Stability Pact fund, was a regional, 10-month long project with aim to contribute to professionalizing media reporting on legal proceedings related to organized crime and corruption. The project also intended to increase public awareness on the issues of access to justice and contribute towards more transparent and more responsive institutions in Bosnia and Herzegovina, Kosovo and Serbia. The project resulted with three unique country-based and one cross-regional analysis, the first of its kind offering a regional perspective on this topic. Aside from the looking at how media report on the topic, the study also sought to unpack why media report on organized crime and corruption in the way they do. 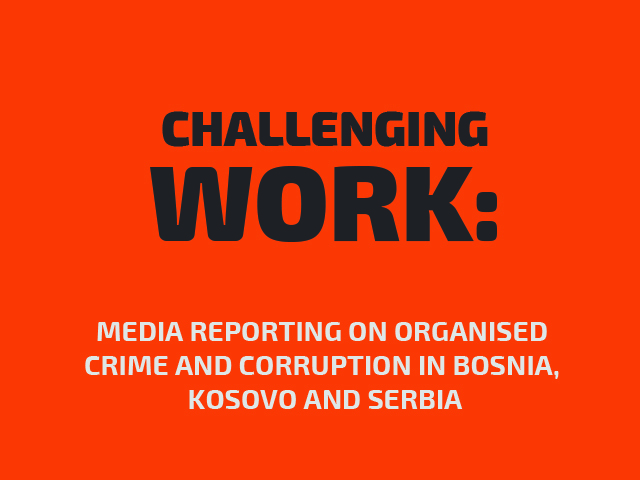 Specifically, the study sought to identify the challenges and constraints faced by media organizations across the region when it comes to reporting on organized crime and corruption.